Nearly 18 months after (supposedly) North Korean hackers gained access to a huge amount of data from Sony Pictures Entertainment, including emails, unreleased scripts, and full-length films, the creators of To Write Love on Her Arms are suing Sony over its failure to protect the film from piracy. They want $8.7 million in damages. First posted by The Hollywood Reporter, the court documents pin most of the blame on Sony and point to several incidents of Sony hacks across all of its services, including the PlayStation Network as well as media criticism of Sony’s lax security. Sony has settled previous class-action lawsuits with former employees over the 2014 hack but never a lawsuit that has come from a studio. The lawyers for Possibility Pictures, the studio behind To Write Love on Her Arms, says the film saw 20,000 illegal downloads in just six days after the hack. It is true that six days after the hack, other unreleased Sony films like Fury, Mr. Turner, and Still Alice were popping up on torrent sites. 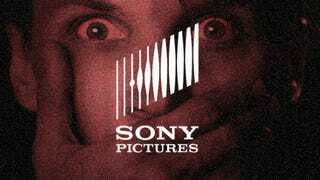 Possibility Pictures also mentions a specific clause in its agreement with Sony Pictures, saying it would “protect the Picture worldwide on the Internet directly or through third party vendors, representative or agents.” As a result of the hack, the studio also alleges that Sony lost all interest in promoting the film. According to the documents, Sony allegedly denied any responsibility in a letter to the plaintiff in July 2016. As TorrentFreak points out, it’s highly unlikely that a huge film corporation has ever been accused of being too lax on anti-piracy measures. But due to the nature of this specific hack, one must wonder if a film studio is obligated to protect its film under such extreme scenarios. It looks like it may take a court case to figure out the answer.